Fixing the welfare state to treat independent workers fairly requires analyzing existing social systems across Europe to identify recurring problems. The most exclusionary systems are those that require independents to pay minimum contribution regardless of their income, demand upfront payment before income is earned, set charges based on average or historical income levels, and charge inequitably for access to the same services. These policy problems can be turned into guiding principles for the creation of a fair and inclusive social security system for freelancers. Such a system should have no minimum payments, no advanced payments, no assumed rates of income, and equal costs for equal services. Studies of independent workers’ conditions and perspectives reveal a recurring set of concerns that can be segmented into two classes, administrative and social. Administrative concerns relate to the procurement and management of work. These include finding clients, managing invoices and bureaucratic paperwork, and pursuing overdue payments. These can be addressed through individual initiative, recruitment marketplaces, administrative service providers, and more stringent prosecution of payment terms. Social concerns relate to ensuring provision for health care, retirement, and ill fortune. These are traditionally the domain of the welfare state. They can be partially addressed by individual savings and planning for future circumstances, and through the creation of mutual benefit societies. But a large proportion of Europe’s self-employed do not earn enough to be able to amass reliable savings, and mutual schemes may prove too diffuse to ensure scalable provision. The policy response to the emergence of the independent working class has been haphazard. Each European country has enacted varying modifications that are often based on non-empirical assumptions about freelancers, who are penalized or excluded as a result. One upside to the scattered and uncoordinated policy response across Europe is that it has provided many experiments for analysis. The downside is that these experiments have operated in real time on large segments of the workforce who have personally borne the weight of any negative outcomes. Determining and enacting inclusive policy solutions is an urgent requirement if we are to avoid broader and more harmful social experiments affecting larger portions of the population during ill health, old age and misfortune. Comparing national social security regimes for the self-employed across Europe is a difficult exercise due to the wide variances in operations, service provisions, classifications, and taxation levels. Systems that appear to be comparable in general terms are shown to have vastly differing impacts due to minor policy or rule adjustments. Furthermore, the described function of a system is often proven false or conditional through the lived experience of affected individuals. Nevertheless, a series of recurring policy responses can be observed as each country erects amendments to deal with independent workers. These can be broadly categorized as: minimum payments; assumed income; upfront payments; and inequitable costs. 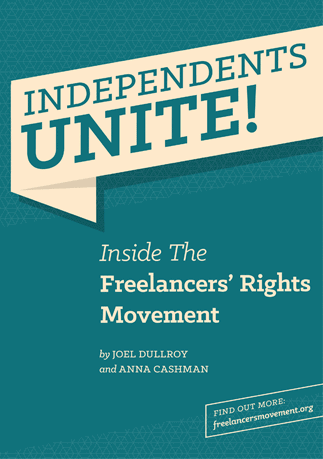 Minimum payments relate to set social contributions which freelancers must pay regardless of their income. An entry price is placed on access to social security, and contributions may continue to rise above this according to the individual’s income. This creates a barrier for low-income earners, and penalizes those who earn nothing during dry spells. Such a policy amounts to an extra tax on freelancers, excludes the most vulnerable, and creates an incentive to operate informally in the black economy. A related problem is that of fixed payments, or standardized contributions that do not fluctuate with income; like any flat tax, such arrangements affect low-income earners disproportionately. Assumed income can form part of a social security system in several ways. Freelancers may be required to estimate their income in advance to determine future social security contributions. Or such estimates may be generated automatically, based on previous earnings. This is advantageous for system operators seeking predictable revenue, but is divorced from the reality of fluctuating income experienced by most freelancers. It creates a similar problem to minimum payments for the individual when their income drops below the estimates. Assumed incomes may also be factored into broader systemic price settings. System operators may assume the average income of all self-employed persons and standardize prices accordingly. This has negative effects on those earning less than the average, who pay disproportionately. It also negatively affects high-income earners, who must make inconvenient extra payments at the end of the financial year to cover the difference between their estimated and real income. Payment before income requires freelancers to fund their social security contributions in advance of any earnings. Such upfront payments are also often demanded by tax authorities, particularly for value added tax (VAT). They create a burden on an individual’s cash flow, and force freelancers to forgo investing in their business or sacrifice from their general living budget. Upfront payments are even more pernicious due to the high rate of late payments affecting the self-employed. It is also punitive in the case of creditor default, as freelancers usually rank at the bottom of the list of unsecured creditors in bankruptcy proceedings. Despite being paid late or not at all, freelancers under such regimes are required to transfer upfront social security and tax contributions, sometimes under threat of criminal prosecution. Inequitable costs are differentiated charges for access to the same services. A self-employed worker earning the same pre-tax income as a traditional worker may be charged a higher rate, either as a single payment for a one-off service, or payments over time for ongoing services. It is important to clarify that this issue does not relate to differentiated rates of payment based on differentiated income levels – indeed, fair progressive tax systems always charge varying contributions based on a range of incomes. Rather, the problem emerges when new contribution rates are created for the self-employed based purely on their status. Such discrimination would be illegal in private enterprise, and should also be forbidden for the state and its agencies. In order to gain an accurate overview of the status of social security systems of Europe as they relate to freelancers, a project has been launched to crowdsource information. Freelancers and policy experts are invited to contribute to this crowdsourcing project by visiting the following spreadsheet and adding their knowledge. 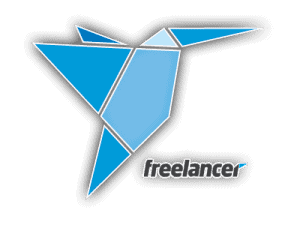 The resulting comparison will be made freely available via a Creative Commons license, in order to spread knowledge and encourage the development of positive policy solutions to improve the condition of Europe’s freelancers.